LOTS of flexibility, the large lower level with a full bath and a spacious loft with closets add a ton of possibilities…. 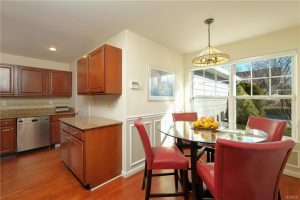 LOTS of updates, new HVAC, new hot water heater, granite countertops, kitchen appliances plus more…. LOTS of space, almost 2,600 sq ft in all the right size rooms…. LOTS of light, from all the windows, fill the home all day long…. LOTS of community amenities, clubhouse with exercise room, pool, tennis, jitney, kids playground…. LOTS to love! in this move-in ready home! Listed by Gay Marglin. 914-762-0070.